Teen Little Mermaid loves learning water ballet in the Fairy Tale High pool, and exploring new places. She believes, "To get in the swim, just jump in!" 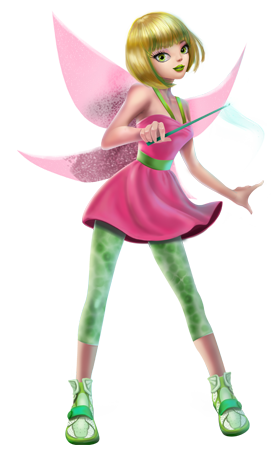 Teen Tink loves singing with the Pixie Chicks at Fairy Tale High. With a sprinkling of fairy-dust magic, she says, "Believe it, do it!" 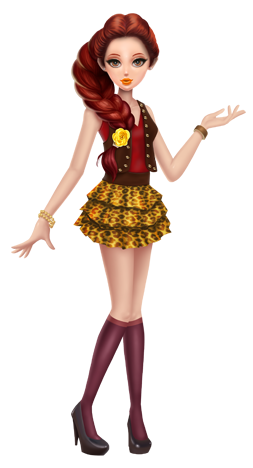 Teen Alice may be the new girl in school, but she loves meeting new friends at Fairy Tale High. She believes you should "Say what you mean and mean what you say!" Teen Belle loves singing in the Fairy Tale High chorus. Belle knows, "True friendships never ends!" Teen Snow White loves writing songs. Her favorite saying is, "Be kind or stay behind." 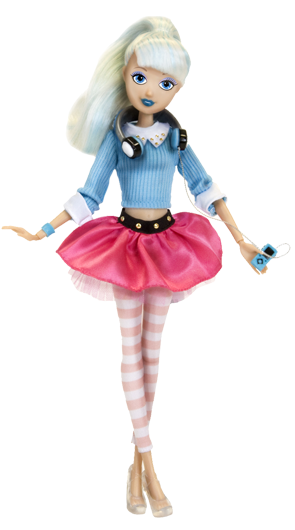 Teen Cinderella likes creating new moves and dance steps, and her favorite saying is, "You won’t know if you don’t try!" She'll have a ball while dancing with her prince charming at the school prom! She likes designing fabulous clothes and costumes for her BFFs, but she always seems to oversleep. Teen Sleeping Beauty believes you should "Dream big!" 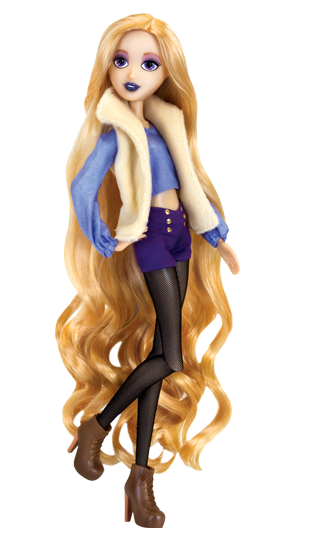 Teen Rapunzel loves doing theater make-up and hair for the Fairy Take High performances. She says, "Let your hair down and have some fun!" Navigate the halls of Fairy Tale High alongside your favorite fairy tale characters. Every day is an adventure! © 2010 S-K Victory, LLC COPYRIGHT © 2011 United Trademark Holdings Inc. All Rights Reserved. Cinderella character based: Fairy Tale High (Toon Studio Publishing 2013) Cinderella by (Tip Top Elf Books, 1956) and Histoires ou contes du temps passé by Charles Perrault (1697). Snow White character based on Snow White & The Seven Dwarfs by (Jr. Elf,1959) and the Brothers Grimm (1812). Alice character based on Alice In Wonderland (Jr. Elf Books, 1951) and Alice's Adventures in Wonderland by Lewis Carroll (1865). Sleeping Beauty character based on Sleeping Beauty (Jr. Elf Books 1959) and Histoires ou contes du temps passé by Charles Perrault (1697). 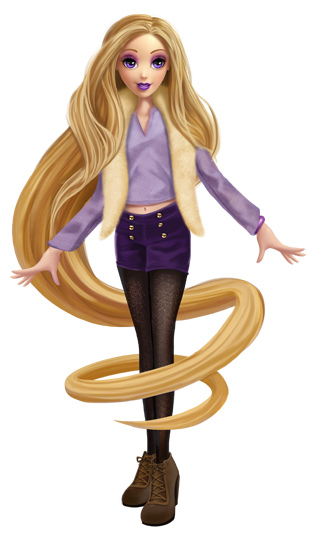 Rapunzel character based on Children's and Household Tales, the Brothers Grimm (1812). Belle character based on Gabrielle-Suzanne Barbot de Villeneuve, La jeune américaine, et les contes marins (1740). Tinker Bell character based on Peter Pan (Bonnie Books, 1953) and Peter and Wendy (J. M. Barrie, 1911). Little Mermaid character based on The Little Mermaid by (Hans Christian Anderson, 1836). 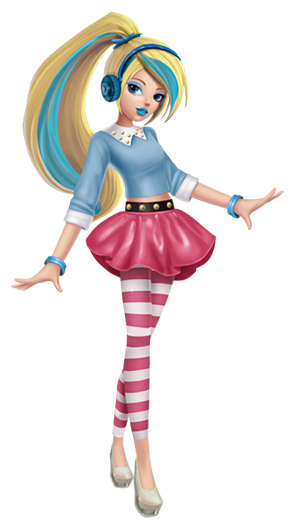 Fairy Tale High®, The Toon Studio of Beverly Hills®, Teen Snow®, Teen Beauty® and Teen Cindy® are registered trademarks of United Trademark Holdings Inc.